Cute little unicorns flying in the starry midnight sky. You can buy these designs in different sizes in my Spoonflower shop on fabric, wallpaper and gift wrapping. 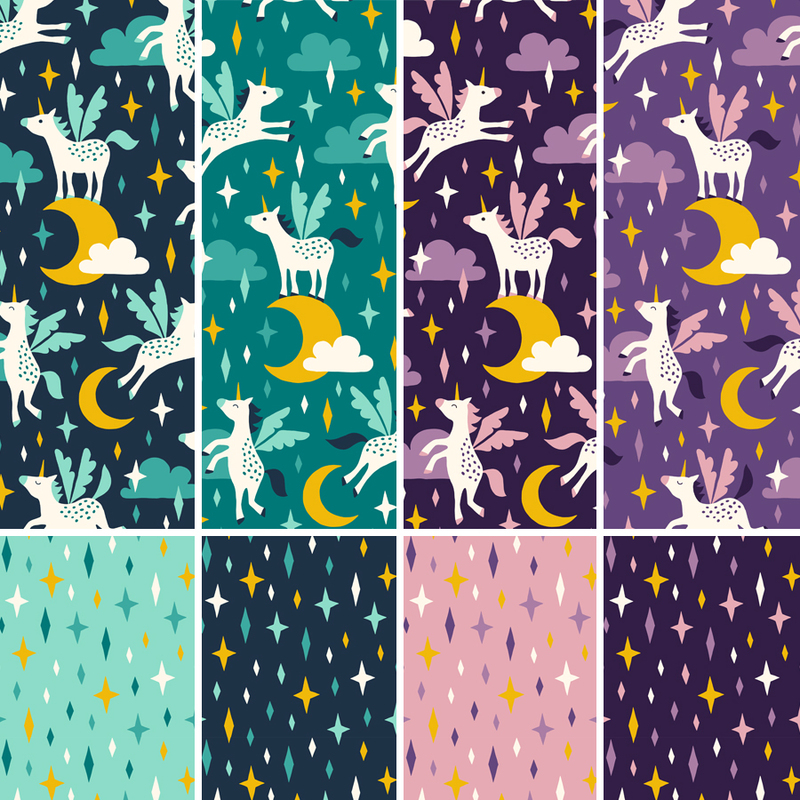 You can also find these unicorns in a German fabric webshop called Stoff im Pott.